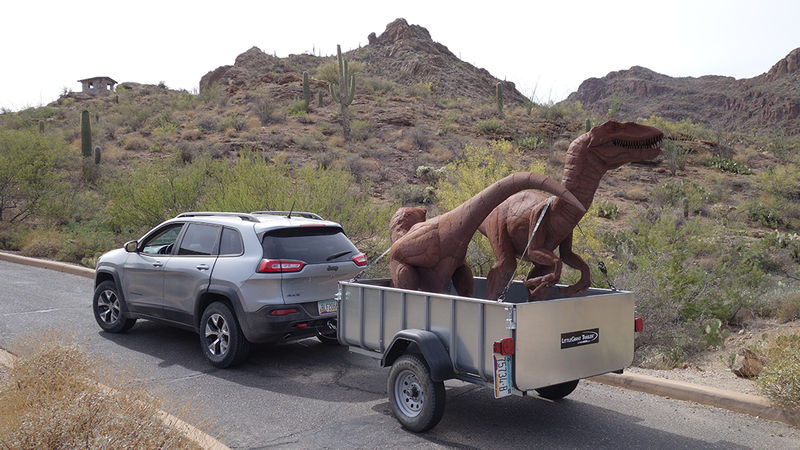 Our market leading innovations help you have fun with friendly ways to take your lifestyle on the road, providing products that extend the capabilities of your vehicle in ways that enhance your traveling and outdoor living experiences. So “Go, Do and Be” on the road, at work, or in the wild and share the experience of being alive with us. Since 1998, Let’s Go Aero has taken fresh approaches to improve how we handle our gear. In doing so, new solutions emerge that address unmet needs in unprecedented fashion. We specialize in products offering efficiency through multi-function, high capacities, and light in weight for managing a wide range of equipment and cargo for both work and play. 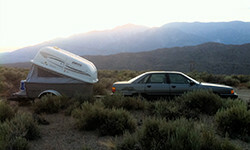 We design our products for the towing capabilities and fit on both small cars and large SUV and RV motorhomes to liberate users with more choices in how to travel and recreate. 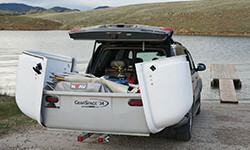 Necessity was the mother of invention when the company launched its first product back in 1998, the GearWagon AT “Herman®” Sport Performance Trailer. 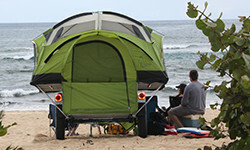 A light and enclosed trailer with capacity for five bicycles among more gear, and one that could be pulled with a Volkswagen Rabbit, simply did not exist. The answer was to make it. This organic ingenuity and authenticity is a driving force at LGA. 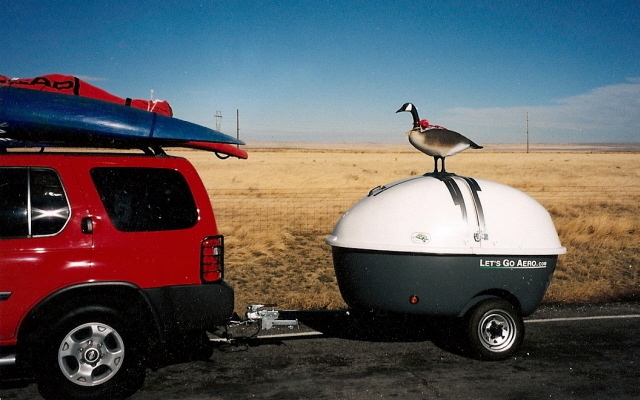 Our innovations are both user and passenger vehicle friendly in nature. We focus on making things easier, more efficient, economical, and effective for the tasks at hand. That effectively means making smaller cars bigger, providing ways to economize through downsizing and fuel savings, providing unprecedented levels of multi-function -- all things that stretch the dollar further and deliver enduring value to our customers. We strive to over deliver on solutions to real needs in the most optimal fashion. The best of all creations are evolutionary, that which can be made simple and no simpler. At LGA, less is more. 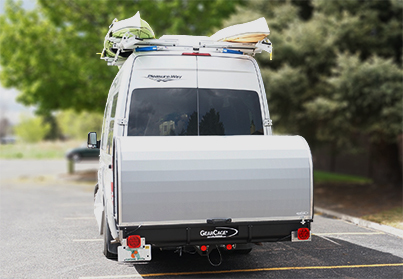 So Grab Your Gear and GO™, and enjoy the efficiencies of the Let’s Go Aero brands. Let your adventures roll! Let’s Go Aero (LGA) is the inventory, maker, importer, and distributor of its patented and patent pending brands. We are a shareholder owner-operated business. The hands-on, day-to-day involvement and use of our products lends itself to a high standard of excellence in our products and responsiveness to customer needs. 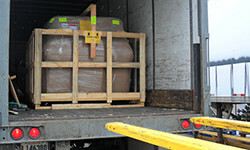 We fulfill orders by both shipment and service installation by appointment. Our tight-knit organization of sales, customer service, product management, and shipping functions also means hands-on knowledge and personalized attention to your particular transport needs and vehicle interests. Our trailers and cargo carriers ship palleted via freight truck (these capacities are far too large for small package services). We have over a decade of expertise in crating and fulfillment logistics for the LTL (less than truckload) network of transportation. Our success is a result of solid communication with customers to advise on what to expect and help you to make the necessary arrangements for receiving. Our smaller products and/or those that are sold as kits for small package fulfillment use the UPS ground shipment network. For more information visit our Sales & Shipping Policies.